From elevating business performance in leadership roles to working in the same capacity as their male colleagues, as mentioned in a recent joint report by McKinsey and LeanIn.Org, we cannot deny that women contribute equally to their companies’ success as their male counterparts, if not more. There is a growing consensus that gender diversity should be a business priority and while an increasing amount of companies are pledging commitments to gender advocacy, women continue to face hurdles in their careers. This is especially true in the design and tech industry, which ironically is often depicted as a champion of gender diversity. In Silicon Valley, women hold about 11% of executive positions. In Canada, women across technical professions earn roughly $20,000 less than their male peers. Worldwide, 24% of computer scientists are women. Though these statistics may certainly provide some perspective, they don’t actually speak to the lived experiences of women in design and tech. To celebrate Women’s History Month and as a follow-up to our Quick Resource on Gender Balance, we decided to interview female design leaders from our community to listen to their stories and share their views on gender balance, diversity, and inclusion. By bringing design leaders into the conversation, we can better understand the current state of gender equality in the design space. We’re immensely grateful to Jasmine Friedl (Head of Design, Intercom), Tania Lili (Head of Visual Design, GENIUS), Chirryl-Lee Ryan (Head of Studio, Idean), Amy Vickers (Vice President, McKinsey & Company), and Kris Woyzbun (Senior Director of Experience Design, SSENSE) for generously donating their time to share their thoughts and advice about succeeding as a woman in the industry. How balanced are the roles, responsibilities, and numbers at your workplace in regard to women? Jasmine Friedl: Not balanced. I’d be surprised if anyone in tech would advocate that they were. Sure, I can look at my team and celebrate that 75% are women but I look at my peers, and that number drops significantly. I don’t have data to back this up but what I’ve seen as both a design educator and a leader in this space is that while many of our college design programs heavily skew female and we may be near equity in associate or mid-level roles, the reality is that upwards of senior design roles are male-dominated. I’m hiring for a principal designer role right now — which is sort of the holy grail spot of a senior individual contributor (as opposed to a manager) career path — and I’m really struggling to come up with a diverse panel of candidates. I’m absolutely not saying that it can’t be done; it just takes focus, attention, and perseverance. But the pool that I’m looking at is primarily white men. It’s absolutely a pipeline problem (it’s an overall diversity issue, not just gender diversity). We need to start asking how do we more deeply invest in promoting and scaffolding women and underrepresented minorities to build the skills, get the experience, and set the vision they need to get over the countless roadblocks they encounter? As far as responsibilities go, I’m known to actively even out the playing field. There’s ye olde “note taking” situation, where women often volunteer or are asked to take notes and end up taking on administrative labor in an unfair and uneven way. I’ve had males protest when I’ve asked them to take notes and suggest things like they have bad handwriting for whiteboarding or “aren’t good” at taking notes. In return, I’ll call out the gender discrepancy and how we need to counteract it. I haven’t had anyone refuse after that! Tania Lili: I don’t have exact numbers but just by taking a quick look at our organizational chart I would say it is pretty balanced. Although most people in the C-level are men, there are a lot of women in leadership roles (myself included). 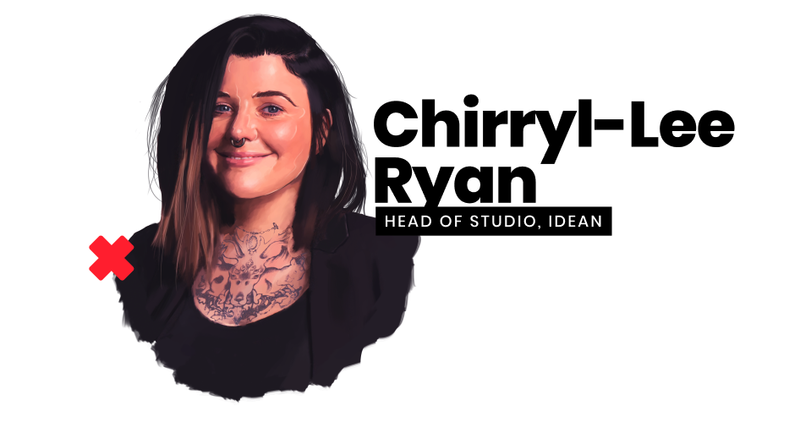 Chirryl-Lee Ryan: Generally, across the industry, on the surface, the workplace appears balanced — the ratio of men to women is probably pretty even. But in terms of design and creative leadership, there’s no balance. It’s still very much a man’s world. 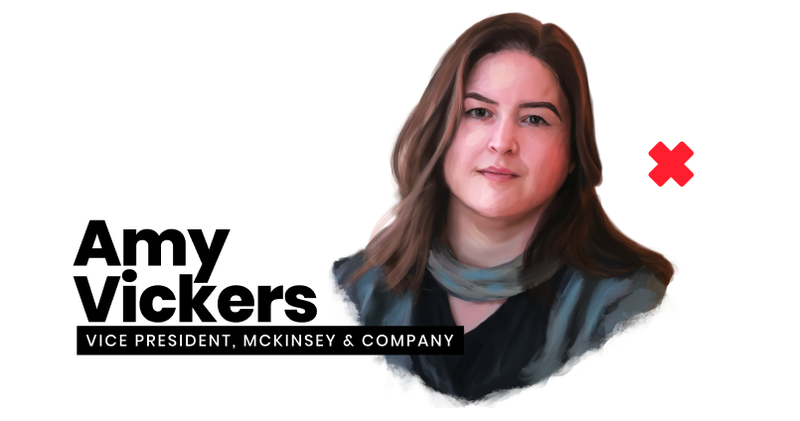 Amy Vickers: McKinsey has a deep and longstanding commitment to advancing parity for women in work and in society. While inclusion and diversity have always been core to our mission and values, our research has inspired us to accelerate our efforts to advance gender parity within our firm. To support this, we offer women-focused programs to help maximize their strengths, develop their network, and grow as a leader. We also offer training for all firm members on inclusion and diversity as well as unconscious bias. Kris Woyzbun: Over 50% of our company is comprised of women and we are proud to promote and encourage gender equality as well as equity at SSENSE and beyond. What are your thoughts on the current state of equality for women in the industry? Tania Lili: While the gender pay gap in the design industry has been an ongoing and relevant conversation these past few years, there is obviously still a lot of work to be done. I think it is important to remember that this is not a problem exclusive to the creative industry. Gender inequality is a global problem that affects all aspects of women’s lives. As a woman of color, I cannot talk about gender inequality without thinking about all the other overlapping systems of oppression. I think if we really want to empower women, the conversation should not revolve exclusively around gender, but should also include all the other sources of oppression such as race, sexual orientation, religion, and class. Intersectionality is essential if we want to talk about diversity and equality. Chirryl-Lee Ryan: You only have to Google ‘most influential designers of all time’ to see the state of equality for women in design. Once you get past the stereotype that the only successful females in the industry are fashion designers, you’re left with a handful of names like Zaha Hadid and Ray Eames that represent role models for women in design. The truth is that women have a deep history in the evolution of design and that’s something that needs to be surfaced and celebrated. From Florence Nightingale’s pervasive influence in hospital design (still prevalent today) to ‘the World’s Most Beautiful Woman’ Hedy Lamarr’s invention of frequency hopping, the technology that led to the Wi-Fi we all love so much today, women have always been a huge part of the history of design, albeit in the shadows of men. Now is the time for women to rise. 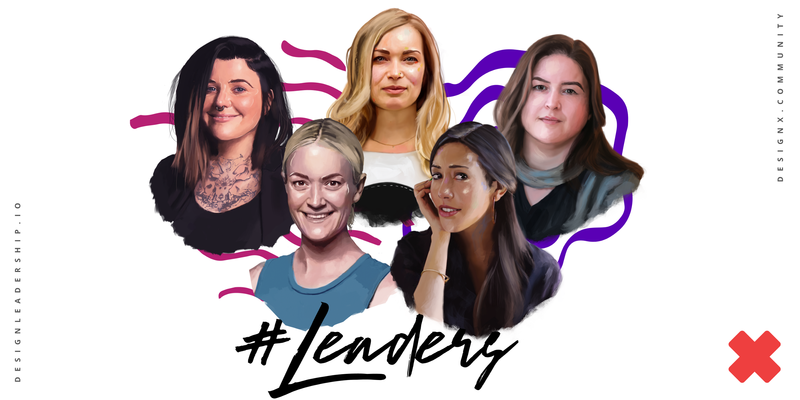 Kris Woyzbun: I have been lucky to work in brilliant companies like IDEO, SSENSE, and my own tech company, where women hold senior leadership positions and sit at the table to make major decisions. These are amazingly talented women who may make it look easy to have it all, but I know they work harder than anyone. Apart from my twin sister during our startup years, I still haven’t worked under a female CEO and I hope that this becomes a more frequent occurrence. Have you encountered any problems and challenges in your career due to your gender? How did you deal with them? Jasmine Friedl: Yes. All the time. The recollection that comes to mind that is more common than not is simply being interrupted. I remember one design critique at Facebook where I was delivering feedback after a prompt, and a male teammate interrupted me. I held my ground and said, “Hang on, I’m not finished.” Another guy quipped, “okay, Kanye!” suggesting that I was interrupting with my “hang on” (this was right after Kanye had interrupted Taylor Swift at the VMAs). I was absolutely shell shocked. Here I was being my own advocate, and I was getting called out for that? It’s worth mentioning that both of these gentlemen are decent, mostly kind human beings. I don’t think they had any idea what they were doing. But the women in the room saw it. Two came up to me afterward and shared that they were too deer-in-the-headlights to support me. I messaged both men afterward explaining how common the behavior was, how we, as women, have to fight for the floor even when we have it, and how destructive their interjections were. They got it. And then it was upleveled — not by me — to leadership, and they came back and addressed the situation and encouraged respect for all. However, there was some good that came from that conversation too; the men learned their boundaries. The women learned they needed to actively advocate. That group of people, as far as I know, had more respectful communication after that. 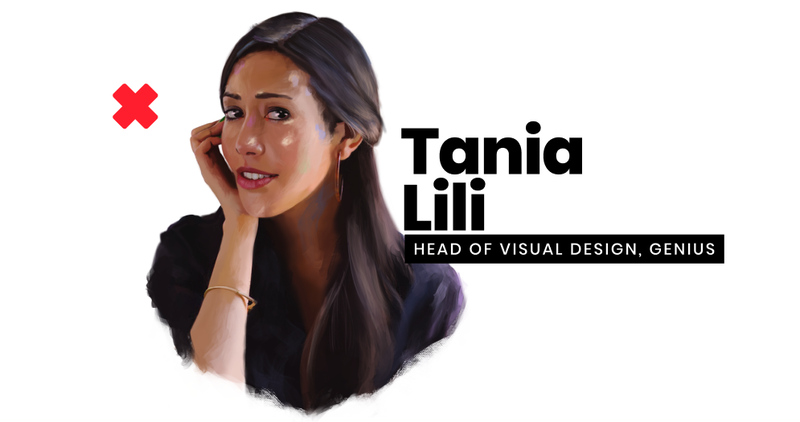 Tania Lili: I think I face the challenges that every woman in the world faces: the feeling that we don’t have enough time to do everything we want to do. The idea that we need to have a successful career and also raise a family, be healthy, have fun, and look a certain way. I think I am quite privileged because I have managed to surround myself with many amazing women, who remind me every day that we don’t have to be everything and don’t have to meet society’s expectations to feel fulfilled. Chirryl-Lee Ryan: I wasn’t even old enough to vote when I found the job listing in the newspaper for a junior designer. I applied with all the courage and optimism in the world, never stopping to think about why they would hire an untrained, 16-year-old girl. My Mum told me I was special but I now know I got the gig because I was the youngest and cheapest applicant. When I think back to my early design days, I don’t remember many women. They were there but they were overshadowed by famous ad blokes who won awards and reminisced about the good old days at Aussie advertising agencies. Either way, I was too busy teaching myself Photoshop and HTML to take much notice. Not that I’m ungrateful for the experience, but being an underpaid Girl Friday whose most important task was the lunch run, kind of screwed with my sense of self-worth as a ‘designer’. I associated the D-word with the shittiest tasks, including executing orders given by art directors and writers. Naturally, I wanted to be one of them instead — a ‘creative’. I didn’t feel proud of being called a designer and I did everything I could to dump the title. I made my ambitions known but nothing stuck. I blamed myself because obviously, I wasn’t creative enough. All of which was exacerbated by the fact that there were very few people (especially women) to provide meaningful feedback or mentorship. The straw that broke the camel’s back was the boss who told me he’d never seen me do anything creative. What he thought I lacked in creativity, I made up for in courage — I quit on the spot. He taught me a valuable lesson about the type of leader I didn’t want to be and the type of leader I was determined to become. It hasn’t been (and still isn’t!) easy. It takes guts, gumption, determination, and persistence to stay true to your own beliefs and integrity. Grow a thick skin, learn to dust yourself off, pick yourself up again no matter what the setback is, and surround yourself with people you want to work. That’s absolutely essential. Amy Vickers: Throughout my career, I have encountered a variety of situations relating to gender inequality–some explicit, many implicit. While the response needs to be appropriate to the situation, the important thing is a response. To honor yourself — your abilities, feelings, rights — is to not minimize the situation. Kris Woyzbun: I can’t lie that fundraising for my tech startup was easy. In more than a few meetings, there was this expressed assumption that my co-founder (my sister) and I weren’t technical and only brought ‘soft’ skills to the table. In reality, I have two engineering degrees. If two female entrepreneurs come to a pitch meeting, they must have left their male engineer back at the office, right? Sadly, this assumption came from both male and female investors. This is why I’m not surprised to read about female tech entrepreneurs who create fake male co-founders in order to be taken seriously to land a pitch meeting. Thankfully, we did find incredible people who believed in our vision and were always there to support, no matter what. What can companies do to foster gender diversity and inclusion into the workplace? 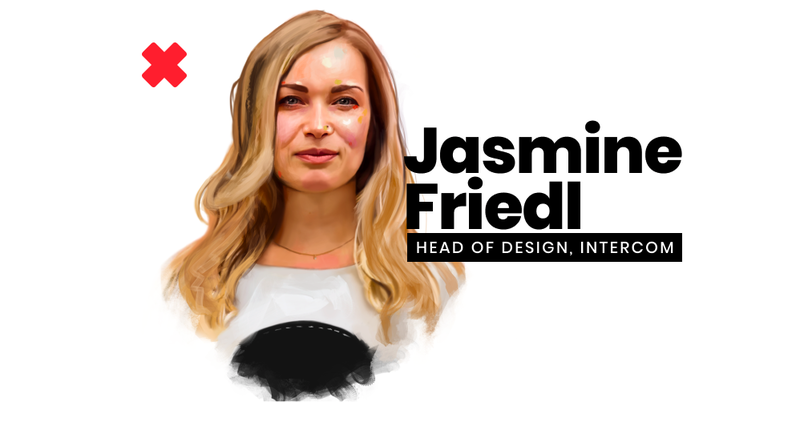 Jasmine Friedl: Something over nothing. When I was at CZI, we actively used a diverse slate approach, using the Rooney Rule. The objective is to hire the best candidate but to make sure that opportunity is given to underrepresented folks before that decision is made. That means actively sourcing a pipeline rather than passively working from a pool of inbound applicants. We also need to make sure diversity is represented in key leadership positions. Team members need to see a future in the companies they choose to invest in, and it’s incredibly difficult to see that future if no one at the top is like you. I’m also really interested in investing in education, apprenticeships, and internships. I truly believe that investing in diversity at the top of the funnel is the only way to make a permanent and scalable change. I’m mostly talking about hiring here. There’s a lot more to inclusion on building great culture too, where individuals feel seen, valued, and understood. That’s a whole other beast! For what it’s worth, I’ve developed my perspective on diversity and inclusion by learning from others. The best thing I’ve seen out there recently is this tweet storm from Code2040. I’d highly recommend digging in there. Tania Lili: This is a great and complicated question. I think the efforts that most tech companies do in order to be diverse and inclusive are extremely short-sighted. In order to understand diversity in the workplace, we need to remember that who we are as leaders, mentors, managers, and professionals are extremely influenced by our own and very unique personal experiences. As a Mexican woman, I talk with people, solve problems, and address issues in a very particular way. Being diverse and inclusive doesn’t just mean having minorities in leadership roles — it also means accepting and respecting other ways of behaving at work and dealing with challenges. Companies need to do a better job at embracing differences if they really want a diverse workforce. Policies that not only accept, but champion diversity could be a really good way to start. I also think that pay transparency would really help close the gender pay gap. Chirryl-Lee Ryan: Diversity and inclusion transcend gender. If everyone is white, able-bodied, or young and hip — you’ve got a problem too. Diversity and inclusion mean all kinds of voices and thinking are accepted, heard, respected, and valued. For design to progress and evolve to the place we all aspire it to be — where better outcomes are more important than the latest techno-thing-a-ma-bob buzzword — companies need to break free of and stand up to the productization of design off the back of lean, agile, design thinking, double diamond, or any other buzz-process that the business has latched onto. If companies are genuinely committed to being better than they’ve been before and going beyond the bottom line (which is becoming increasingly important to their customers and employees), they must buck the cookie-cutter trend and embrace and nurture a variety of colors, shapes, backgrounds, skills, abilities, ages, and generations to design a better future that is accessible to EVERYONE. Kris Woyzbun: Showcase why good work is good work no matter your gender by hiring amazing women in senior leadership roles. What, if any, are some misconceptions surrounding gender diversity in the industry? How do you think they should be addressed? Tania Lili: We need to understand a problem before trying to solve it. I think the “let’s hire more women” approach is a quick fix to a more complicated issue. In my opinion, tech and design companies should try to analyze and understand the gender equality problem in order to fix it. Recruiting women and people from underrepresented communities is important, but I think we need a deeper understanding of the issue in order to change institutional biases. Companies should really invest in training and educating employees regarding these issues. Chirryl-Lee Ryan: Mark Twain once said, “Noise proves nothing. Often a hen who has merely laid an egg cackles as if she laid an asteroid.” Just because there’s a lot of noise around diversity doesn’t mean everything is as it appears. It’s up to each one of us to keep the bastards honest. One piece of advice you would give to your junior, designer self? Jasmine Friedl: I’d definitely tell myself to kick up that perseverance. I honestly didn’t have much of a growth mindset until my mid-30s. I wanted things to be handed to me and absolutely crumbled when they weren’t. Maybe that’s not fair to my junior self. I’ve always been an incredibly hard worker, but I definitely didn’t set any goals or a vision for myself. There’s a lot behind that on how I was raised, but I think I’d tell myself this: You are in charge of your career. Only you. It’s going to be hard. Lots of things are going to get in your way and you’ll often feel like you’ll never make it but you’ll push through. Build your tenacity and you will make it (and it’s okay if you don’t know what “making it” means right now). It’s important for you but it’s important for the people around you too. People are going to look up to you one day, and people are going to want to follow your path. If you can make that easier for even one person, it’ll be worth it. Tania Lili: Don’t be afraid to ask questions. Don’t stress too much about things that you can’t change. Don’t compare yourself to others; everyone has their very own timing and path. I grew up in a society that taught me to look at other women as rivals. I wish I’d understood sooner that other women are the best source of inspiration and empowerment. Chirryl-Lee Ryan: What’s more important is the advice I think she would say about the type of person she would want to be when she grew up. Think she would say be tough, but fair; fight for what is right; don’t be afraid to be wrong or unpopular; never stop believing that anything is possible; work with people you love working with, and always stays true to yourself. I try to be that person every day. Kris Woyzbun: Experience matters. Your 35-year-old self will look back at your 25-year-old self and thank them for taking interesting, challenging, and daring opportunities. Don’t check off boxes of career requirements but rather, inform your intuition around what to do when, why, and how. It’s like building muscle memory. Next thing you’d like to learn or the next challenge to tackle (professional or personal)? Tania Lili: I would like to get better at being present. It sounds simple but it has always been a struggle for me. I am always thinking, “What’s next?” I have noticed that it only leads to anxiety. Professionally, I would like to push my practice as a designer outside of my day job. I have a big pile of unfinished personal projects. I really want to take the time this year and finish at least one of them. Chirryl-Lee Ryan: Prioritizing life outside of design. There’s so much to enjoy in the world and so little time to enjoy it — don’t let that beauty and joy slip away because you had your head buried in pixels or were worrying about a presentation. Everything else besides your own happiness can wait a minute. 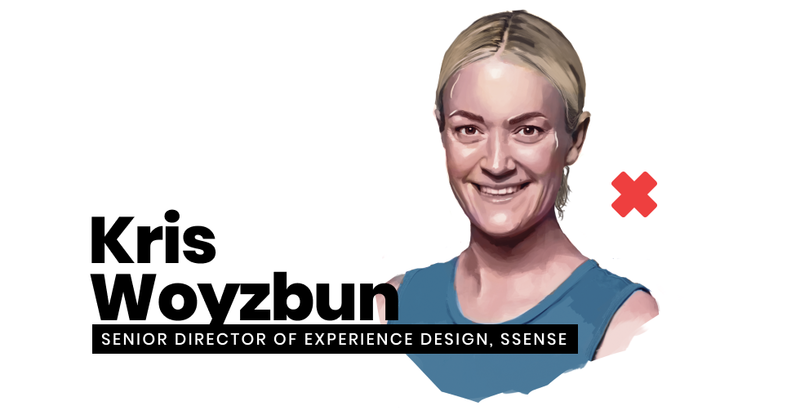 Kris Woyzbun: Continuing to lead SSENSE in delivering radical, differentiating, and incredibly designed user experiences. Amy Vickers: Professionally, I’m focused on helping organizations establish, evolve, and scale design — to support all of you doing humane, impact-focused design! Personally, the yoga mat provides an endless series of challenges. Tania Lili: Still Processing and Radio Ambulante. Chirryl-Lee Ryan: Mine, of course! Listen to This is HCD. Kris Woyzbun: How I Built This with Guy Raz on NPR. The episode with Spanx founder Sara Blakely is AMAZING! Truly inspiring. Amy Vickers: I have too many to list! A sampling — 99% Invisible, Hidden Brain, The Memory Palace, On Being, Radiolab, Recode Decode, Without Fail. Women in design and tech continue to experience roadblocks in their careers. From a lack of female representation at senior and management levels to female typecasting, there is a gender disparity within the industry. The problems aren’t just company-level; they are systemically entrenched in society. Addressing gender issues by just diversifying the pool of hires and calling out microaggressions tend to be temporary fixes rather than sustainable solutions. Still, our design leaders remain hopeful for real and meaningful change. They believe that education, whether in the form of company-mandated programs or female mentorship, in conjunction with inclusive hiring practices, can change the culture and narrative surrounding gender for any company. As the problem of the gender gap is far-reaching, we cannot expect a quick and clean resolution. We have to keep working at it, every day. The global gender gap is expected to close in 202 years, at current rates of progress, but nothing is set in stone. Our daily efforts, or lack thereof, can influence the expected timeline for equality in our industry. Thanks again to Jasmine, Tania, Chirryl-Lee, Amy, and Kris for sharing their stories, imparting wisdom, and leading the charge for female empowerment in the industry. Also, a shout-out to Emi, our External Relations Manager at DesignX, for communicating and connecting with our design leaders for this piece. Want to continue the conversation? If you’re a design leader, request an invite to join our Slack Design Leadership Community and join in on discussions around equal representation with fellow leaders in our recently launched #women-in-lead channel. Meanwhile, check out some of the speakers who came to our Design Leadership Summit last year. Design Leadership is hosting another summit in 2019!